Enno Scholz is Chief Executive Officer and co-founder of HYPE. He is responsible for HYPE Sales, and one of the visionaries and architects of the HYPE software. Working closely with clients and partners, Enno shapes HYPE’s platform to the needs of the client's innovation strategy. Moreover, Enno is in charge of Investor Relations. Prior to founding HYPE together with Frank Henningsen, Enno worked as a research scientist with Daimler Research and Technology, where he developed the first version of the HYPE software platform. Enno earned a Ph.D. in Computer Science from the Freie Universität Berlin and a Master’s degree in Computer Science from Technische Universität Berlin. Frank Henningsen is Chief Technology Officer and co-founder of HYPE. He drives HYPE’s product vision and he makes sure that it leads to meaningful software. Frank runs the product development arm of HYPE. Over the course of more than a decade, Frank has personally worked on innovation programs with many of the world’s most admired companies. He is a frequent presenter at innovation forums and a leading expert on innovation management strategy and best-practices. Prior to founding HYPE together with Enno Scholz, Frank was a researcher at Technical University Braunschweig. Frank earned a Ph.D. in Mathematics and a Master’s degree in Mathematics, German Studies, and Philosophy from the Technische Universität Braunschweig. Dieter Otten is HYPE’s Chief Financial Officer. 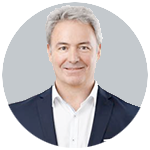 Prior to HYPE, Dieter gained more than 20 years of experience in the management of international corporate group businesses. His background includes management positions in a wide range of industries, including IT/software, telecommunication, plant engineering, machine building, and manufacturing. His business experience includes leadership roles managing group and corporate structure, change management, M&A transactions, and post-merger integrations. 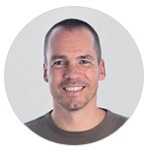 Dieter holds an MBA from FOM University, Essen and a business management degree from AKAD University, Rendsburg. Colin Nelson is HYPE's VP of Enterprise Innovation Consulting. Colin specializes in the social science that underpins how large or diverse groups collaborate online. 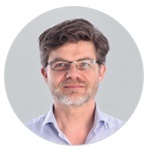 He is an expert in the field of Collective Intelligence, supporting global organizations and communities on how to achieve efficient, effective, and sustainable innovation and business change using online tools and processes. 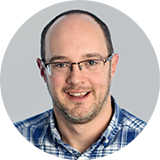 Colin is a respected thought leader on Innovation Management and Enterprise Collaboration, publishing numerous articles on the topic. Colin has a background in Market Research, Information Management and Management Consulting. However, for the last 10 years he’s worked in new product development, Innovation Management and Collective Intelligence. He holds a BSc in Computer Systems Engineering. Connect with Colin on LinkedIn or Twitter.